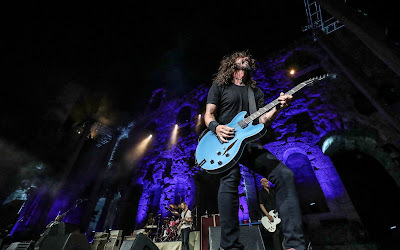 The Foo Fighters debuted a new song, “Arrows”, during the event, which marked the final date of the band’s European tour. The Foo Fighters will release their ninth album, “Concrete And Gold”, on September 15. The group will launch the project with a fall US tour that will begin with their own Cal Jam 17 festival at Glen Helen Regional Park in San Bernardino, CA on October 7.